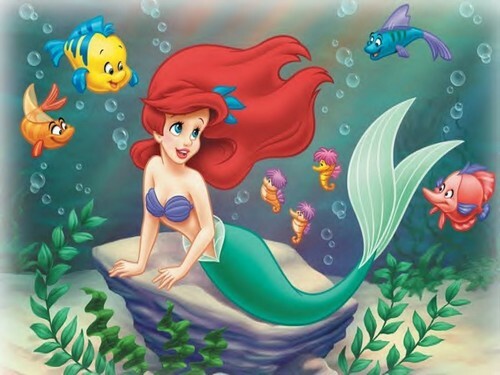 Ariel & Friends. . HD Wallpaper and background images in the La Sirenetta club tagged: movie film disney the little mermaid ariel pictures. I don't know why u think this wallpaper looks wierd, i think is cute........:)! Cute~ Hope you will get the true love wearing the link mermaid wedding dresses and get a big surprise.